Minority Teacher Recruitment and Retention Program (MTRRP) was established in 1990. The purpose of the program is to respond to the critical shortage of culturally diverse teachers. It is designed to recruit and retain culturally diverse students as they prepare for a career in teaching. 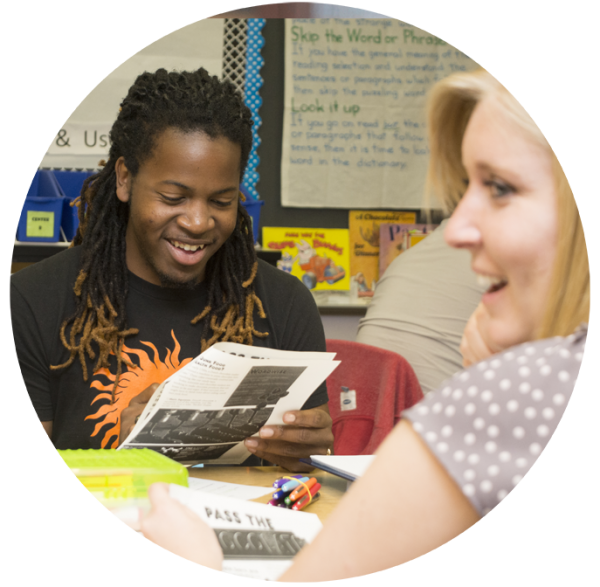 MTRRP provides future educators with mentors, financial assistance, academic support, and professional development. Recruit and retain culturally diverse students interested in careers in teaching. Promote academic excellence and foster professional development. Encourage community involvement and commitment. Attend monthly mandatory MTRRP events. Complete 20 hours of volunteer service (for each semester the scholarship is received). Exhibit and maintain professional behavior on campus and in the community. Maintain at least a 2.5 overall and semester grade point average. Meet with an assigned mentor at least twice a semester. Submit all required MTRRP documentation each semester prior to the withdrawal deadline. Admission to the college as an undergraduate degree-seeking student (education major in a state approved teacher preparation program). Have not exceeded 18 hours of upper division education courses at the time of application (includes current semester enrollment). Must be a Florida resident for tuition purposes. Must be in UCF junior class standing - 60 student credit hours (sch). Must have a 2.5 or higher grade point average in previous semester and overall. Students will be notified of the scholarship award by letter.